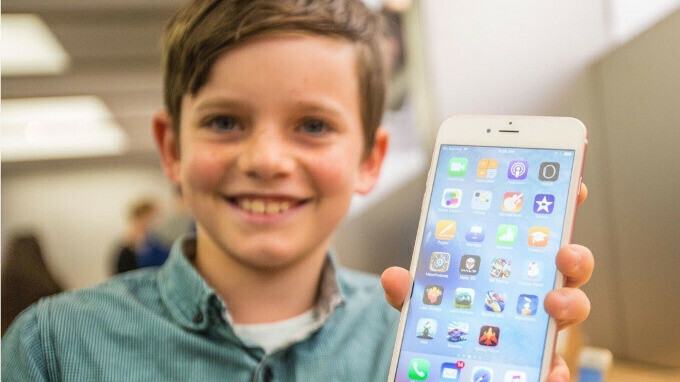 Apple has vowed to introduce new parental control features to iPhones and other iOS devices. These tools will help parents control and limit phone use in order to prevent child smartphone addiction. Cupertino's declaration comes as a response to a public letter published by two major shareholders who urged the tech giant to investigate the negative effects of excessive smartphone use with younger users and take direct action against it. The company also stated that it has offered parental control functionalities since 2008 while also mentioning that iOS currently offers features that can help parents regulate content such as websites, apps, songs, and others. The feature that's been available on Galaxy line for years. Now the thief Apple is shamelessly stealing Samsung idea again. What a copycat! I hope the new parental control features doesn't enable CPU throttling, again. This shouldn't be another reason to upgrade for Apple fans. I didn't find that such feature in Samsung Experience 8.1, what is the name of this feature in Samsung galaxy devices ? Kids Mode. Go to the Play Store or Galaxy Apps store and you can download it from there. To add. Samsung tablets usually have Kids Mode preinstalled, but the phone do not. But it is a really cool feature with it's own apps and games based on the kids age. My Galaxy Tab A6 doesn't have those parental controls. Do you mean the app Kid's Mode? When you can't beat them, join them. Copying isn't a crime, they all do it. After all, everyone can't be 1st. Parents need to start being parents and stop expecting tech companys to do their job for them. I agree with this. I keep ipads/iphones to a minimum and i think my girls are better for it. But the platform should have tools to make it easier. Still up to th3 parents to use them. Which his why Google or A0ple should have never refunded any purchase made by a child. Their were parental controls to prevent app purchases for years on both platforms. A tool only works if you use them. But it's always the people who claim to be so smart, that show they are completely dumb. Easier to take device from their hands. They should make their own Kids Mode. The main reason my kids have Samsung tablets and not iPads is because of the Kids Mode, it gives me full control of what they do on their tablets, and also gives me the option to set a time limit to how much they're allowed to use it per day. If Apple introduces anything close to Samsung's Kids Mode, then I'll definitely trade their tablets for iPads. Google offers the same through Family Link. Make their little fat assets put those phones down, and go outside and play. Health is wealth. Totally agree. Lousy parents depend on gadgets to babysit their kids. Right, and that's pathetic. I groomed my son on the diamond, football, and baseball field. Got him into working out early on, and he's still doing it today. Start em early, train em early. Darkk, Dimas, Cat97, That is so true. I am so glad my son limits his kids. They get 2 or 3 hours a day on the weekends to play games on their phones or Xbox, then it's outside and play if weather is good. If weather is not good they play board games. This is in no way up to Apple, Samsung, LG or any of the others. Right on sis. Play time is mega important. The specs that truly matter, are health specs...not phone specs. "The specs that truly matter, are health specs" I like that! Cheers bro. P.S. You gotta trademark and sell that slogan to the Apple Watch's marketing department. It's perfect for a tech device. So late to the game. When you set up a family link on Google, and you add a child, it already has controls including you can set the times the child is allowed to use the device will automatically lock when time is up. You can prevent download games outside of age range, and know when they make a purchase which can also be block. You can blacklist websites and more. Samsung takes it further by offer8ng kids mode on its devices which offer similar features and kids mode has its own apps and games design for kids.